Probably not you after whizzing through Space Mountain three times in a row because it's your child's favorite ride. You're five hours into a day at the famous Magic Kingdom: You're sunburnt, your hair is a mess, and if you wear makeup then by now it is likely to have sweated off half your face. But you are unaware of all of this. Why? Because Walt Disney World does not have mirrors in the restrooms, at least not in the traditional placement. Disney World bathrooms do have one full-length mirror located near the exit for you to quickly assess the situation before you return to the fun. What is different about restrooms is that there are no mirrors above the sinks. This is an intentional move made by the planning wizards of Disney World. Restrooms are popular targets for vandalism because of the absence of security cameras and Walt Disney World found mirrors to be hit frequently. Disney invests so much in its image the magical experience that an act of vandalism would immediately damper the experience of the visitor. Graffiti takes you out of the bubble that Disney World creates. When people see their disheveled appearance they stop to fix it, holding up the sinks and results in longer lines for the restroom. By providing only one mirror for everyone to share, people do not stop because it prevents people from easily going in and out of the restroom. Waiting in line for 10 minutes to use the restroom? That doesn't sound so magical. The guest's mood may also sour if they get a long look at their appearance. I'd guess that a lot of us would agree that staring at ourselves after riding roller coasters and the standing in the Florida humidity doesn't make us happier. 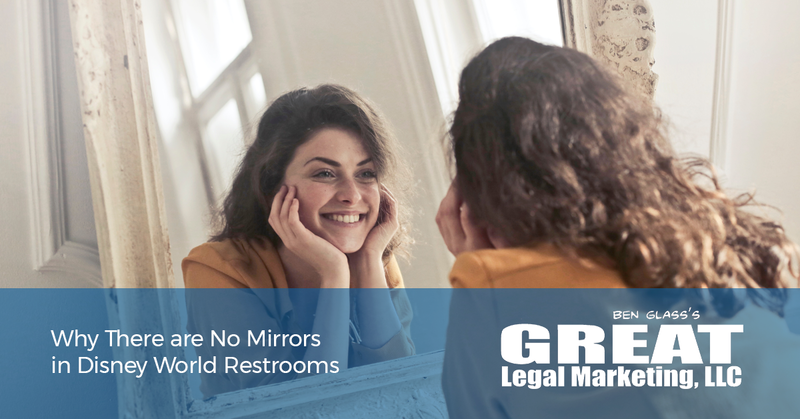 While I'm not suggesting that you to remove the mirrors from the bathroom in your law firm, there are a few lessons that can be learned. The core principles behind the reasons for mirror removal can be applied to your law firm. Walt Disney World recognized a small but significant problem and they realized that the best solution for the problem was to remove it. There are other ways to prevent vandalism: Use mirrors with graffiti resistant materials, clean vandalism immediately to discourage the act, change the bathroom design and layout, or purchase warranties for vandalism so there is a minor financial loss. All of these tactics may prove to be effective, but also require a lot of attention, maintenance and upkeep. The most simple and effective answer is to remove the problem. I'm sure there is a problem in your law firm that you are jumping over hurdles to try and improve. Have you considered removing the problem? The simplest answer might be the best solution. As an outsider looking in you might think, "Does that extra minute spent in the bathroom really matter?" When it affects the experience, mood, and time of the guest, it matters significantly. Walt Disney World is the perfect example that if you prioritize customer service then profits will increase. Happier clients spend more money and will leave positive reviews, boast about the experience of social media, and will refer friends and family members to you. As an attorney, it is easy to forget about prioritizing the client experience. Something may seem small and insignificant to you, but if it hinders the client experience even slightly, it will affect your law firm. All of the small moments will culminate to a large problem. Think about what actions you can take to improve the overall experience of your clients. At its core, the removal of mirrors improved the system of using the restroom which decreased wait time. Is there a hiccup in your system that leaves the client feeling irritated or confused? 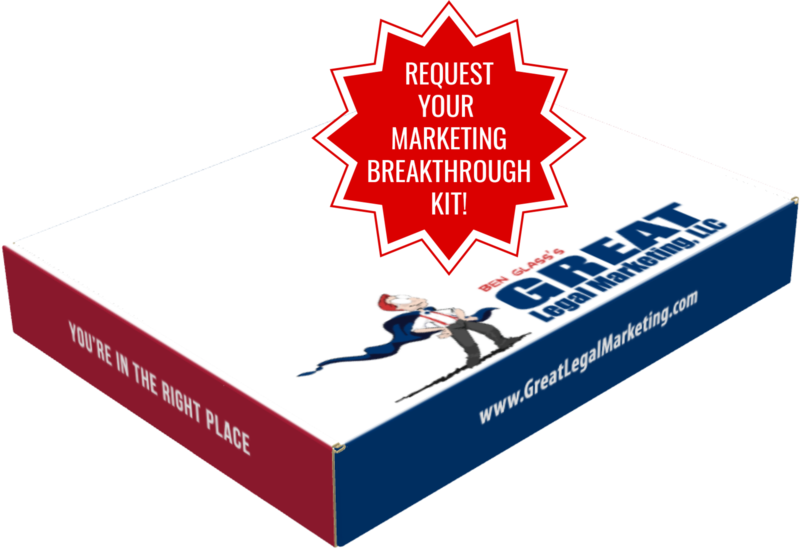 Maria Matrozzo is the Assistant Project Manager at Great Legal Marketing.